Conventional bodybuilding wisdom tells us that we can’t build muscle and lose fat at the same time and any such overly ambitious effort will only lead to frustration and even loss of precious muscle mass, and it’s much smarter to separate these goals into two separate phases of the training process. Yet a deeper inspection into the subject reveals that accomplishing both ends simultaneously is not an impossible goal after all, at least not for inpiduals who have the right combination of favorable genetics, substantial amount of experience and rigorous dietary discipline. But what about the normal guys like yourself, who lack one or more of these requirements. The eccentric bodybuilding guru Vince Gironda strongly believed that anyone, yes anyone, can increase his lean mass while getting rid of excess fat for good at the same time. 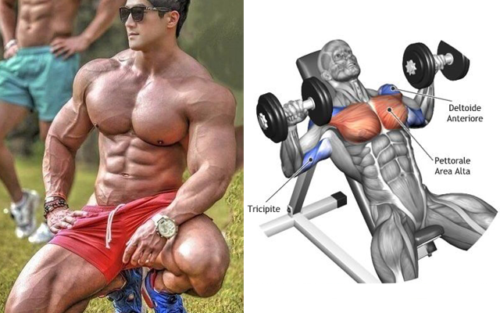 And he didn’t only believe that to be true – he created a simple regime based on an 8×8 training pattern that can allow any dedicated lifter to accomplish this goal. And why not? Believe it or not, your genetics are not the most important factor in determining your bodybuilding success. Training hard with the right tools can help you make the most out of what you were born with and get you as close as possible to the physique of your dreams. The 8×8 program basically means that you will perform 8 reps of an exercise for 8 sets. You can use this approach to effectively train any body part by using relatively heavy weights and short rest pauses between sets. Since we know how much you love training your chest, we created this killer chest workout based on the 8×8 approach. Use 70% of you 1RM and take only 30 seconds of rest between each set. If the weight is too heavy, you’ll soon know it. Still, be prepared to drop reps before lowering the weight, and strive for week-by-week weight progression. Thanks to the high intensity of the workout, you’ll experience great metabolic ramping, rapid chest growth and stunning fat loss benefits. 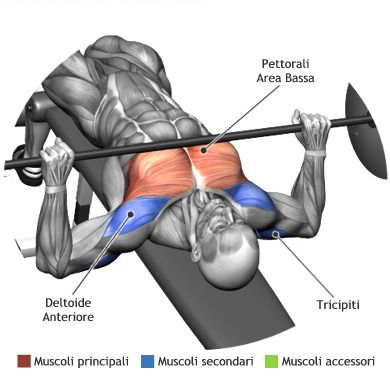 Unrack the bar and slowly lower it towards your chest until it almost touches it. It should take you around 3 seconds to perform this part of the lift. Without pausing at the bottom, explosively lift the bar back up until your elbows lock out. Repeat the movement for 8 reps, then rest for 30 seconds and go again until you complete a total of 8 sets. It’s okay if you can’t pull off 8 reps on every set – just try to give your maximum and don’t go below 5 reps. A severe burning sensation in the chest will indicate that you’ve done it right. Make sure to get a spotter as it’s highly likely that you will fail. 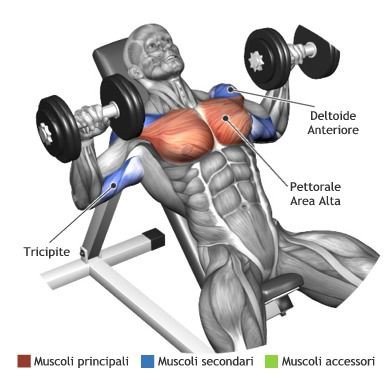 Lie down on a flat bench and lift the dumbbells in front of you at shoulder width, making sure that the palms of your hands face each other. Slightly bend your elbows, then slowly lower your arms out at the sides in a wide arc until you feel a good stretch in the chest muscles. Raise the weights back to the starting position and repeat. Aim to complete 8 sets of 8 reps with 30 seconds of rest between sets. 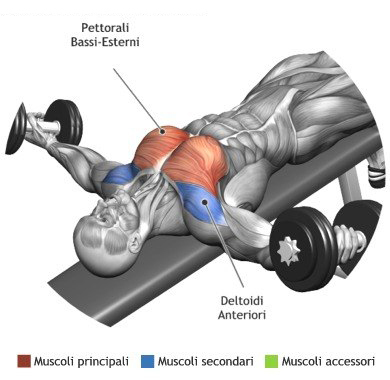 Lie back on an incline bench set to a 30-degree angle, holding a pair of dumbbells. Lift the weights above you at shoulder width with the palms facing out. Slowly lower the weights down for 3 seconds, then explosively push them back up. Make sure to perform the movement under maximum control. Repeat until you complete 8 sets of 8 reps with 30 seconds of rest. By now your chest should be pretty decently fatigued, so it’s time to hit it even harder and squeeze out all remaining power from your muscle fibers. For this movement, you will place a declined bench under the Smith machine and set the bar at a height that’s reachable from a lying position with almost fully extended arms. Using a grip that’s only slightly wider than shoulder width, unlock the bar and slowly lower it down until it touches your chest. Pause for a moment before returning to the starting position, then go again until you complete 8 sets of 8 reps. Take no more than 30 seconds of rest between sets. This will be your finisher, so make it brutal. 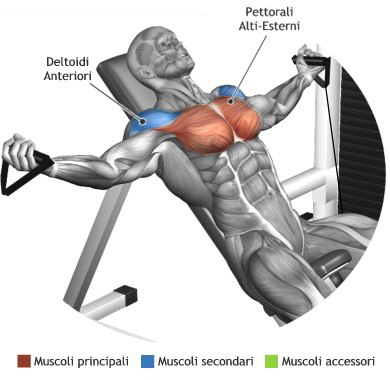 Place an incline bench (45-degree angle) between two pulleys. Grab a handle with each hand, lie on the bench, extend your arms and bring your hands together in front of your face. Maintaining a slight bend at the elbows, slowly lower your arms out at the sides in a wide arc until your chest is fully stretched. Bring the arms back to the starting position and repeat until completing 8 sets until failure, allowing yourself only 20 seconds of rest between sets. Related article: Weightlifting VS Cardio : Which one is more effective and how they impact your health and body composition? The 8×8 workout routine has fantastic results for many bodybuilders from all types of backgrounds, so as long as you are consistent there’s no reason why it shouldn’t work great for you too. You can apply it to any body part to get a really good pump and improve conditioning, and it works especially great for arm training. Use it until you get the results you’re looking for, but not more than twice per week, as you will need plenty of rest to repair the damage. That being said, if your objective is increasing strength, it’s best to skip this regime and find a workout that’s more suitable for strength gains. But if you’re trying to lean down while increasing muscle size at the same time, this workout will prove to be the most effective one you’ve ever tried.